Where do the ICRC Commentaries fit into the legal landscape? What are the rules governing treaty interpretation and how do they operate in the area of IHL? Where does the ICRC’s legitimacy to interpret the Geneva Conventions stem from? Jean-Marie Henckaerts, ICRC’s Head of the Commentaries Update project, kicks off the first episode of this multi-blog series. Norms of international law develop through the adoption of treaties or through the formation of customary rules based on State practice and opinio juris. The treaty rules of international humanitarian law (IHL) are first and foremost contained in the Geneva Conventions and their Additional Protocols. In parallel, a body of customary rules govern the conduct of armed conflicts today. In 2005, the ICRC released a Study aimed at identifying customary IHL rules; it formulated 161 rules of IHL which have achieved, according to State practice compiled by the ICRC, customary status. The ICRC Commentaries, like other commentaries, purport to clarify the meaning of treaty rules in order to facilitate their implementation: they are concerned with norm interpretation as opposed to norm identification. All laws, no matter how detailed they are, have to be interpreted when being applied. International treaties, such as the Geneva Conventions, are no different. A commentary’s purpose is to offer such interpretations and indicate where a question is not entirely settled. By their nature, they cannot amend the law. Because the 1949 Geneva Conventions were drafted in such a way as to make them easily comprehensible by belligerents, their rules already offer a degree of specificity and practicality – see the detailed rules governing the protection of prisoners of war in the Third Convention. Yet, the scope or meaning of some of their provisions may also require further clarification – see the lack of detail governing the Conventions’ scope of application. Time had come to provide an up-to-date interpretive guide to the Conventions, to better address today’s humanitarian challenges. According to the 1969 Vienna Convention on the Law of Treaties, a treaty must be interpreted “in good faith in accordance with the ordinary meaning to be given to the terms of the treaty in their context and in the light of its object and purpose” (Art. 31(1)). The ‘object and purpose’ of the Conventions to respect and protect those affected by armed conflict while taking into consideration military necessity, has been a constant and leading compass throughout the research and drafting of the new Commentary on the First Geneva Convention (GCI). The ‘context’ to be considered for treaty interpretation comprises not only the text of the treaty, but also its preamble and annexes. As a supplementary means of interpretation (Art. 32), the preparatory work has been particularly important, when no recent practice on a topic could be found. The Vienna Convention also reflects and foresees the need to take account the passing of time when interpreting treaties. Art. 31(3) provides that recourse may be had to “subsequent practice in the application of the treaty which establishes the agreement of the parties regarding its interpretation”. Other subsequent practice – for example conduct by one or more (but not all) Parties in the application of the treaty after its conclusion – may also be relevant as a supplementary means of interpretation. The weight of such practice may depend on its clarity and specificity, as well as its repetition. In the case of the Geneva Conventions, such practice – identified for example through military manuals, national legislation, case-law, reports of practice and official statements – has proved particularly useful in confirming or determining the meaning of a rule. ICRC experience and scholarly writings have also proved useful in informing the interpretation of the Conventions. Pursuant to Art. 31(3) of the Vienna Convention, the Commentary also took into account other “relevant rules of international law applicable in the relations between the parties”. These include customary IHL and the three Additional Protocols, as well as other relevant branches of international law. In particular, human rights law, international criminal law and refugee law were still in their infancy when the Pictet commentary was being drafted but they have grown significantly in the meantime. In this regard, the development of case-law from international courts and tribunals since the 1990s also had to inform an up-to-date interpretation of IHL treaty rules. Where does the legitimacy of the ICRC to interpret the Conventions stem from? 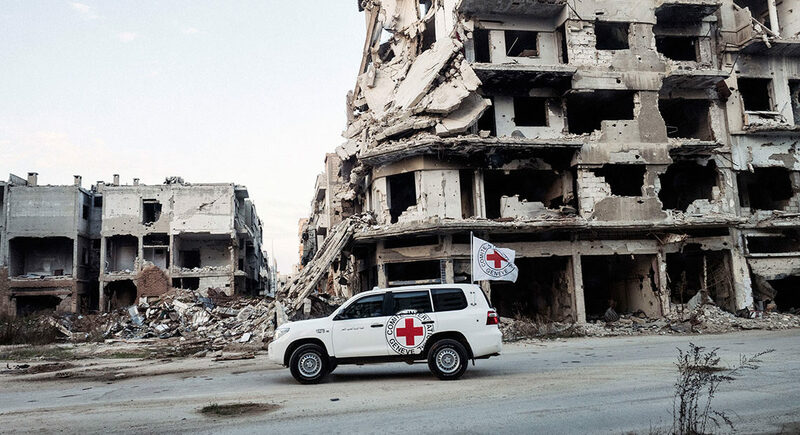 First, the ICRC benefits from a legal legitimacy as guardian and promoter of IHL, a role it was formally entrusted with by the international community through the Statutes of the International Red Cross and Red Crescent Movement, adopted by all States parties to the Geneva Conventions. Ensuring a coherent interpretation of the law is essential to enhance respect for it, and hence is at the core of the ICRC mandate. Second, the ICRC possesses an operational legitimacy, drawing from more than 150 years of experience in assisting and protecting those affected by armed conflicts, but also in engaging with weapon bearers to promote and disseminate IHL. Third, throughout the years, the ICRC has accumulated knowledge in material form: the ICRC archives have documented the practice of State and non-State actors, as well as its own. This wealth of experience and access to these materials sets the ICRC in a unique position to capture interpretations of IHL treaty rules. At the same time, the updated Commentaries are far from an exclusively “ICRC” product. While they have been commissioned by the institution and edited by its staff lawyers, and include ICRC interpretations, they also incorporate an unprecedented level of external inputs, both in terms of process and substance. The Commentaries are the result of a collaborative process, involving external contributors as authors and reviewers. This allowed the new Commentary to take into account a wide range of perspectives, from different parts of the world, and to reflect main diverging views. I am convinced that continuous efforts to interpret the law in a coherent manner is essential to ensure that the humanitarian spirit of the Geneva Conventions is carried forward into today’s conflicts. It is the ICRC’s hope that the new Commentaries will, like the Pictet Commentary, be a leading interpretative compass; but its ultimate authority will depend on its quality and relevance for practitioners and academics. The updated Commentaries should not be seen as the final word on the meaning of IHL treaty provisions, but rather as a picture of how the rules are interpreted today, and a contribution to continuing efforts to refine our understanding of the law and how it can best mitigate the effects of contemporary armed conflicts. Jean-Marie Henckaerts is the head of unit in charge of updating the ICRC Commentaries on the Geneva Conventions of 1949 and their Additional Protocols of 1977. Episode I, Part II (Intercross): “The role of the ICRC Commentaries in understanding international humanitarian law,” Sean D. Murphy, Professor of Law at the George Washington University. Episode I, Part III (Opinio Juris): “First Thoughts from Academia on the Updated GCI Commentary,” Kevin Jon Heller, Professor of Criminal Law at the University of London.